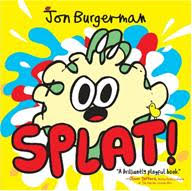 We had a great time reading this new book from Jon Burgerman. Splat! is a fun and interactive story about great big messes. It didn't take long for my little one to catch on to the idea that things were going to be splatted on our characters face. He had fun shouting the action words as he read along with me. 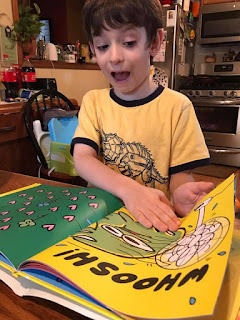 This brightly colored book is just a fun time. I think it is the perfect "exciting" book for bedtime or really anytime. 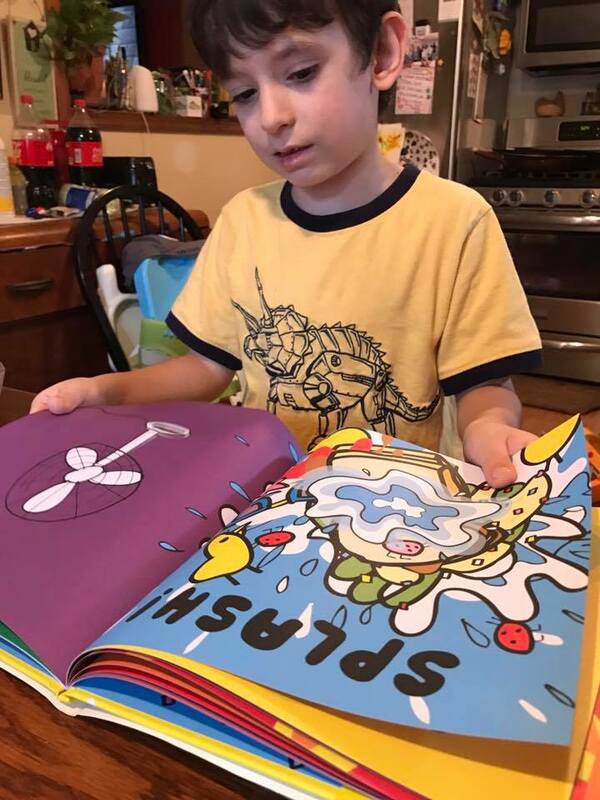 See what happens when flipping the page of this gleeful picture book gets you—SPLAT!—a pie in the face, followed by—SQUISH!—an insect sandwich, and—SPLASH!—a deluge of water balloons. Bright colors and appealing visual gags add up to a perfect mess—no cleanup necessary. One lucky reader will win a copy of SPLAT!